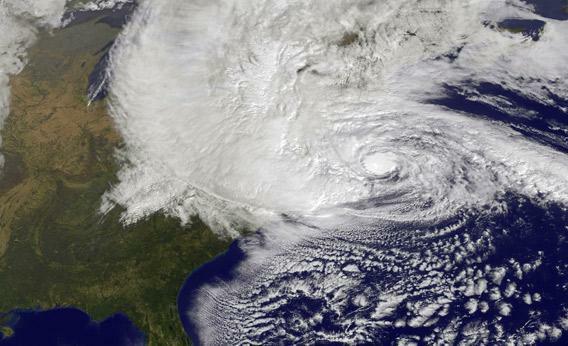 Climate Change and Sandy: The two critical issues Romney and Obama ignored. It is all over but for the screaming and shouting. Two final thoughts. First, despite all the acrimony and fury, let’s not forget that somehow this process has worked for more than 200 years. The rest of the world has not only watched and marveled; it has imitated and followed. Our democratic principles have taken root throughout the globe, even if imperfectly. What was viewed 224 years ago as an experiment doomed to fail is now the model for all. Virtually everywhere in the world, people still wake up and want their country to be more like the United States than any other nation. We are the envy of the world because of what we stand for and how our democratic process, flawed as it may often seem to be, operates. We should take pride in that. Second, I sorely wish that two critical issues had not been ignored over the course of the campaign: global warming and gun control. Tragedies highlighted both: the Aurora shooting, which so vividly made clear what we must do to rein in the terror of semiautomatic guns with grossly excessive magazines, and now Hurricane Sandy, which while surely not exclusively a result of global warming, highlights the attention we must pay to climate change. Each of these issues was skipped over for unfortunate political reasons, yet we ignore them at our long-term peril. Whoever governs starting in January—and I am still quite sure it will be President Obama—will have to push back against the political voices who argue to ignore these critical issues. Delay is the enemy of progress.